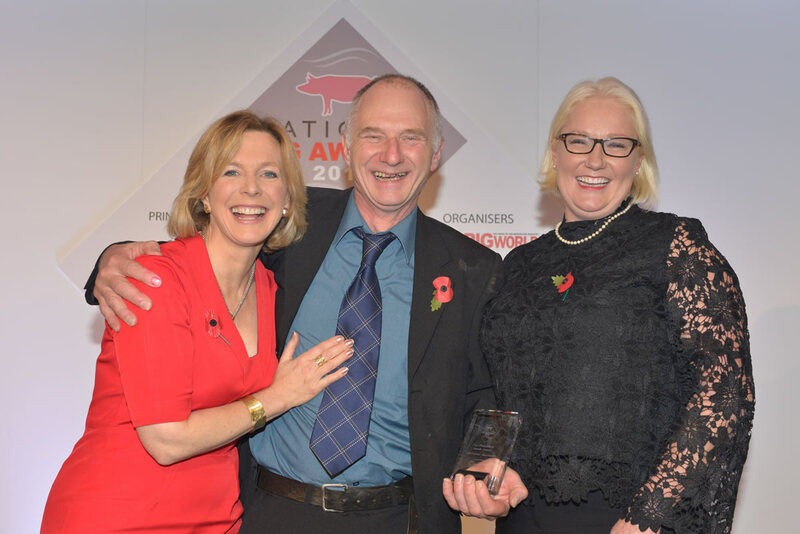 We are delighted to announce that our Southburn pig unit won the Indoor Herd Productivity Award at the 2016 National Pig Awards! The award was presented to Bill Bramhill, unit manager, by Hazel Irvine (of BBC presenting fame) who was compering the evening, and Lydia Parkin of Huvepharma who sponsored the award. The change from weekly farrowing to a five-week batch system, along with genetic improvement in the herd and other management changes, convinced the judging panel that Southburn was a worthy winner of the award. These changes mean that the unit now weans 2.49 more pigs per sow per year than previously, taking the total number of pigs per sow per year up to 30.08. Congratulations to Bill and his team on this brilliant achievement.